If you are an artist and a gardener in the West of Ireland you tend to become very interested in the weather for obvious reasons. After our wonderful spell of fine weather along came storm Hector crashing into our lives. 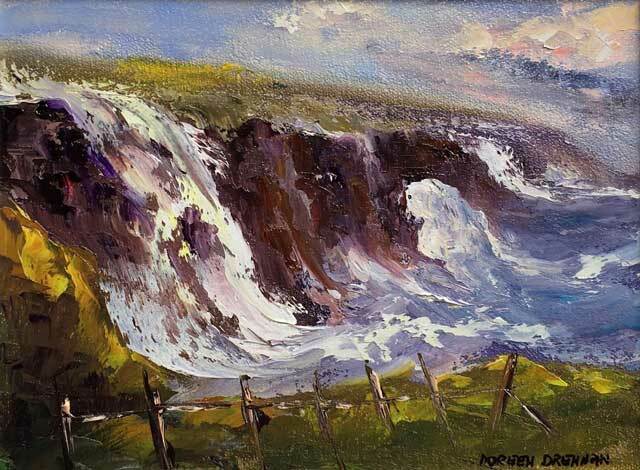 But every kind of weather has its own beauty, so I headed to Doolin to watch the mighty Atlantic roar, and Hector brought it’s own creations to me in the form of a painting.